New for your Springtime table! Cute little Springtime chick sculptures for your Easter table. 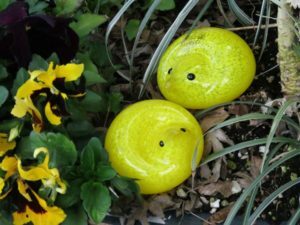 Each is approximately 3″ wide in bright yellow, pink, blue, or purple with dark glassy eyes.